PhytoGen® brand varieties PHY 444 WRF, PHY 333 WRF and PHY 312 WRF rank among the standout performers in Mississippi, Tennessee, Arkansas and Missouri OVTs. 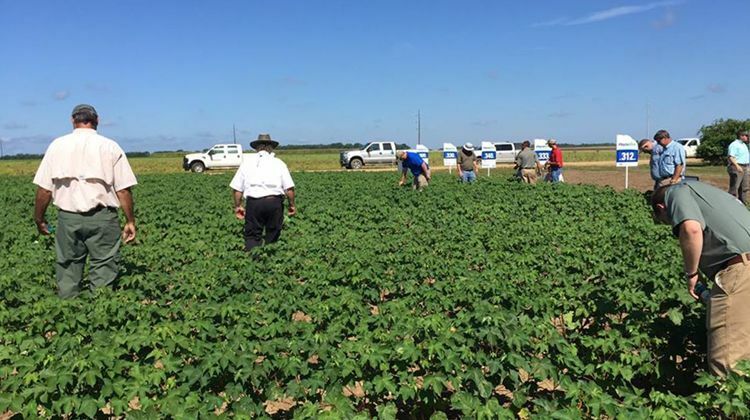 PhytoGen dominated several Midsouth Official Variety Trials recently with seven of the 10 best varieties in Mississippi and top performers in Tennessee, Arkansas and Missouri. PhytoGen® brand variety PHY 333 WRF topped Tennessee, and PHY 312 WRF led the cotton in Missouri. In Arkansas, PhytoGen cotton earned the top two spots — PHY 312 WRF in first and PHY 444 WRF in second — and PHY 333 WRF also placed in the top 10. PHY 312 WRF fits in well with areas that have good soil, irrigation and for growers working for high yields. Both PHY 333 WRF and PHY 312 WRF offer high-quality fiber in earlier-maturing varieties, while PHY 333 WRF exhibits unprecedented seedling vigor and broadly fits across the Midsouth. PHY 444 WRF is a midseason variety that fits well in the Cotton Belt’s southern regions, including the South Delta. It also performs as a top yielder in both dryland and irrigated production. PhytoGen encourages producers to develop a variety plan with the help of one of our cotton development specialists.